CLEARFIELD – Local girl scouts have made a donation to the Child Advocacy Center of Clearfield County (CAC-CC). 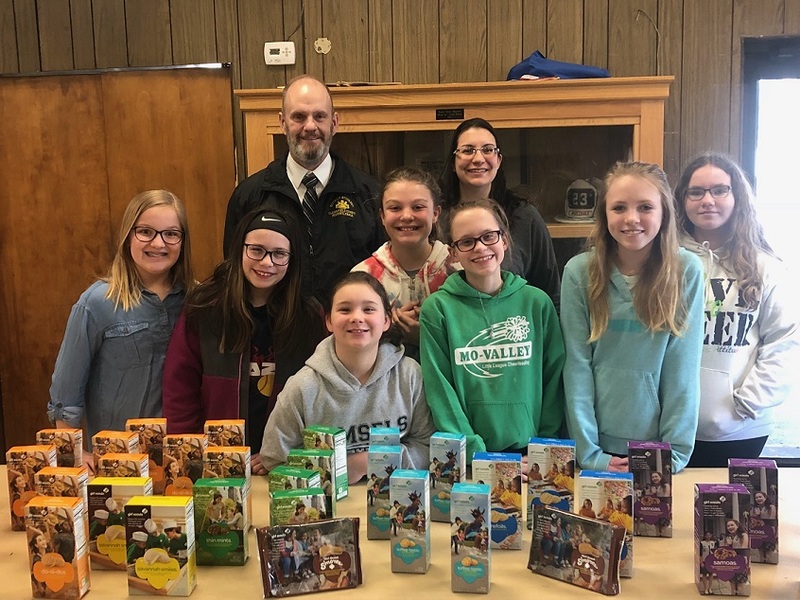 According to District Attorney William A. Shaw Jr., Girl Scout Troop 41997 from Houtzdale recently made a donation of Girl Scout cookies to the center. The girl scouts have been collaborating with the CAC-CC to help increase awareness of Child Abuse Prevention over the past three years. He said they first became involved back in 2017 when they began working toward their “Bronze Award,” which is a great honor to earn as girl scouts. These cookies are later donated to an organization of the troop’s choice. Troop 41997 selected the CAC-CC, so that cookies are available when children victims visit. Shaw thanked the Girl Scout Troop 41997 for its generous donation and continued support of the Child Advocacy Center of Clearfield County. Shaw said the CAC-CC would not be possible without the collaboration and support of the Clearfield County Multi-Disciplinary Investigative Team (MDIT) and community members. Anyone interested in supporting the center can contact cac@cenclear.org.